Australia’s quarantine watchdog has put the onus back on its Hong Kong and Chinese counterparts to prove there is no biosecurity risk presented by the Jockey Club’s new mainland training centre. It seems there is no end in sight to the ban on horse exports from Hong Kong to Australia, put in place in October as a result of a review of the disease-free status of the training centre at Conghua near Guangzhou. 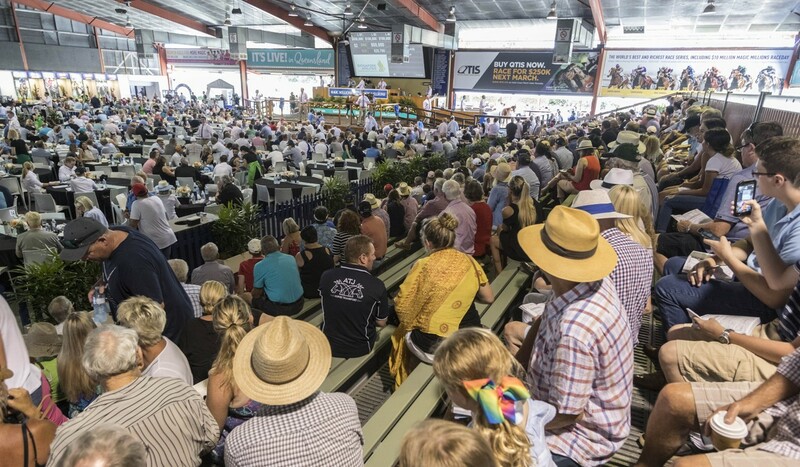 This week the Jockey Club said it would not be buying horses from the Magic Millions yearling sale on the Gold Coast, but the move, seemingly designed to expedite the Australian review, has not engendered the desired result. In fact, it appears the Australian government’s Department of Agriculture and Water Resources (DAWR) has doubled down on its tough stance. “The direct importation of horses from Hong Kong to Australia was suspended on October 2 2017 because of potential biosecurity risks that could be created by the movement of horses between Hong Kong and a training facility in China,” a statement said. “Australia takes biosecurity seriously and there is evidence of equine diseases in China that would devastate Australia’s horse industries if they arrived here. “The onus is on Hong Kong and Chinese government authorities to provide the information necessary to show that these potential disease risks are being managed to the very low level required to import horses into Australia. The Jockey Club attempted to flex its financial muscles by not only threatening to withdraw its entire “HK$40 million to HK$50 million” budget for Australian yearlings and also taking lucrative simulcast meetings from Australian race clubs, with Jockey Club chief executive Winfried Engelbrecht-Bresges stating “if somebody tells us that this situation has no economic impact then we have to demonstrate that it does”. The Australian authorities countered by pointing out what is at stake for an isolated country with not only sensitive biosecurity issues, but a recent history of equine disease that was debilitating to the racing industry and damaging to the country’s economy. The statement also addressed Jockey Club criticism “there was no clear pathway or timeline” on when the issue would be resolved. “The department has worked consistently with its Hong Kong and Chinese counterparts to resolve the matter as quickly as possible,” the statement said. “The department has sent questionnaires to official agencies in Hong Kong and China to support its assessment of the equine disease status and biosecurity controls in place to manage potential biosecurity risks to Australia. “The department will continue working with officials from Hong Kong and China and consult the Australian thoroughbred industry to resolve the matter. The Jockey Club’s executive director of Racing Authority, Andrew Harding, stood by the claim the current timeline is unacceptable. “The Australian government to this point has failed to tell us what the information they require is, and moreover they are saying they won’t know until the end of March,” he said. “Frankly, if there is talk of onus, the onus is on Australia to carry out the evaluation in a timely manner, so as not to damage the trade relationship.